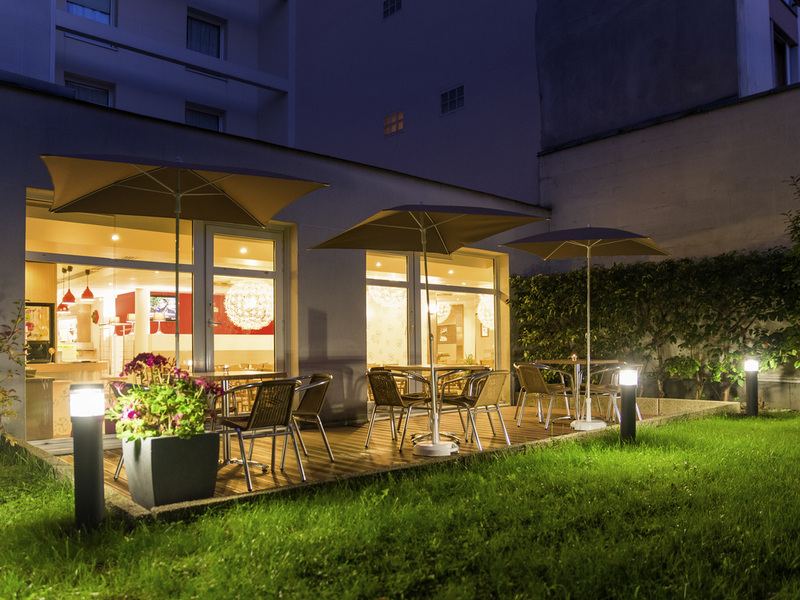 The ibis Paris-Vanves Parc-des-Expositions hotel offers 71 renovated, peaceful rooms with air conditioning. Free WIFI and a 24/7 bar are available to you, as well as a private underground car park. A 20-minute walk from the exhibition center, the Porte de Versailles and the Palais des Sports, this hotel is ideal for business trips and family stays. Using the metro, you can reach central Paris, Montparnasse station, the Eiffel Tower and the Champs Elysées in just minutes. 10 mins by foot to Parc des Expos, Porte de Versailles. Metro line 13 Malakoff Plateau de Vanves stop. Direct access: Montparnasse, St-Lazare and Champs-Elysées stations. Bus 58/89. Aquaboulevard water park and the Palais des sports event venue.